Control Gaging Incorporated, A world class supplier of in-process gaging systems. systems from Control Gaging for over 40 years. The Grip-Gage-Go solution requires no additional floor space, reduces cycle time and eliminates the need for hand-loaded or robot-loaded bench gages. The DD5 Disc Grinder Gage System provides automatic grinder control based on real-time measurement of part thickness. 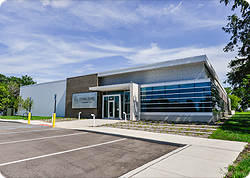 Control Gaging Inc. (CGI) located in Ann Arbor (MI) USA, was founded in 1972 and for more than 40 years has responded to the diverse needs of the machining industry with innovative gauging solutions. A vertically integrated company, able to design, manufacture and support its products on behalf of the customers. CGI services the industries of aircraft/aerospace; bearing manufacturing; motorcycle manufacturing; pumps/compressors; small engines; automotive; general industry; electronic/electric; machinists; marine/outboard; truck/tractor; and the medical industry.